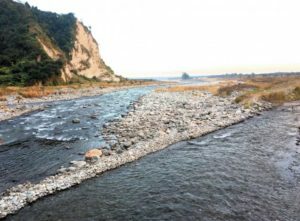 Bhairabkunda is a popular picnic spot in Udalguri district in the State of Assam, India. It is situated on the border of Bhutan and Arunachal Pradesh, near the Bhutanese town of Daifam. Bhairabkunda is the wonderful sites of nature in the tri-junction of Bhutan, Assam and Arunachal Pradesh, is considered to be a God’s gift to the human being. 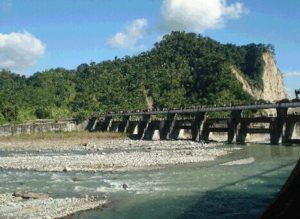 It is located in the northern bed, distance from Udalguri town (district headquarter of Udalguri) some 22 km. Bhairabkunda is also prominently known as important tourist place of Shiva’ for the pilgrims. Devotees visit the temple frequently and offer pujas to achieve success in their life. Marriageable couples prefer the place for their romantic intimacy. The Shiva temple geographically lies into the Bhutanese territory but it is an important pilgrimage for the Indian visitors. Read also - Agnigarh. The Bhairabkunda is not only the meeting place of geographical borders but it is also for the river Jia Dhansiri, Bhairavi, and Daifam. The meeting point of rivers looks like a ‘Kunda’ (worshipping place of Lord Shiva). thus, probably it got the name Bhairabkunda. The Bhairabkunda is a small town the area under the Udalguri district of BTAD area in Assam, is a transit place for the eastern province of Bhutan. The Hindu devotees visit the place in ‘Makar Sankranti’ where they take bath in the meeting point of three rivers and offer pujas in the Shiva temple. According to proverbial tales, there was a Kunda where the devotees used to offer pujas. The fishes in this Kunda used to take the rice thrown by the sacred devotees and sprinkle the holy water for peace while they used to avoid impure people. In another tale, it is said that the extreme devotees of Shiva- The Bodos used to pry God performing Kherai dances in the ancient ages. The God realizes himself among the devotees and all the musical instruments were gathered in a house of Deuri (worshipper). Once, the house ablaze and all the musical instruments were disappeared. ‘Bhim of Panch Pandavas too was lived here during his ‘AGYATAVASA’ the proverbs quoted. Down the ages, the three Bodo socialist heroes Laothai, Bambur, and Adang was have reigned the area. They were divided equal shares of land among their citizens.